But even in good design packages, there are five common mistakes you can avoid once you know what to include. Think of these five points as the design template for your design package and you’ll likely experience a much smoother and more productive process in designing your next electronics project. This may go without saying but your first step is to know what you’re trying to accomplish. It may sound silly, but it’s not uncommon to find a design package that does not show a clear understanding of the end goal of the design. Articulate your details so that your design team can get the clearest possible picture. Plus, you’re likely to catch some of your own missing information in the process of writing it all out. Win win! This is an easy one to miss because your electronics designer can create theoretically perfect designs that, again, in theory, should be without issue. As we know, however, theory and practice don’t always complement one another, as is often the case when the theory does not consider manufacturability. Are any obsolete? Can they be obtained from a reputable source without risk of counterfeit? For example, no matter how big of a “Back to the Future” fan an engineer is, a flux capacitor should not make its way on to any serious design. It’s silly, but you might be surprised and what an over-zealous engineer can slip into a design. Do yourself and your design team a favor and do a quick double check that the parts in your package exist. Sensible specifications can get a little tricky once quality specifications are considered. For example, you might inadvertently add confusion to your design if you have a ROHS or lead-free specification in your design but then request leaded parts or materials elsewhere in the design package. This also goes back to knowing your parts and doing your due diligence to check for any kind of discrepancy in your electronic specifications. Basically, is the design practical? Can it be built via known or commonly utilized manufacturing equipment and methods? Maybe you aren’t sure or you need guidance on the latest technological capabilities for your design. It’s better to ask ahead of time than submit an electronic design that requires Oompa Loompas for manufacturing. This is not only unpractical, it’s just silly. Everyone knows is Oompa Loompas can only make candy. Understand your operational considerations. The design may be perfect and the end product of the design may operate as expected in a normal environment. However, some electronic assemblies are not meant to operate in “normal” conditions. Your product may need to function in extreme cold or high heat environments. It may need to be partially submerged in water or used in high altitude settings. All of these environments can cause a change in how the electronic parts operate. Be sure to keep all your environmental factors in mind when completing your design package. Always submit a complete Bill of Materials. 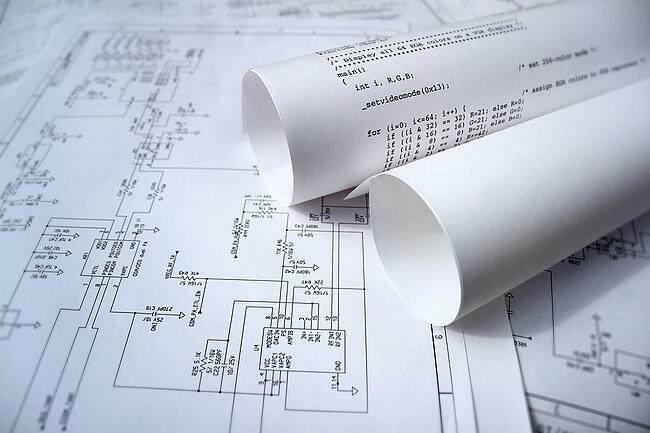 Drawings and schematics are nice and can look really cool, but both hold little value if there is not a complete BOM to back them up. Can it be tedious? Sure. Does anyone really love drafting a Bill of Materials? Probably not. But can it make or break your project timeline and budget? A good Bill of Materials is organized in an editable format (for your sanity and your team’s). It will include part numbers (for every part), descriptions (for every part), part manufacturer if possible, part specifications, and quantities, at a minimum. Know what additional specifications your electronic project might require and include them. You stand a much better chance at an on-time project with fewer mistakes and more accurate pricing. It’s worth it. The final thing your design package might be missing? Levison Enterprises is a quality-focused electronic manufacturing service with a high-skilled and experienced team ready to assist you in creating an ideal design package. We don’t just understand design packages, we focus on how to use them to your advantage for building timely and quality products. It is our practice to work with our partners, using all of the considerations above (and more) to ensure that your product is exactly what you need, when you need it, consistently operating in a way that meets your needs. We truly believe that good electronic design is foundational to good electronic product quality. We cannot promise anything that requires 1.21 gigawatts to jettison you to the 1950s, but basically anything else will get the highest care and quality available. We might even be able to train some Oompa Loompas. Who knows. If an easy, error-free design process is what you seek, contact Levison Enterprises to discuss your next design package.